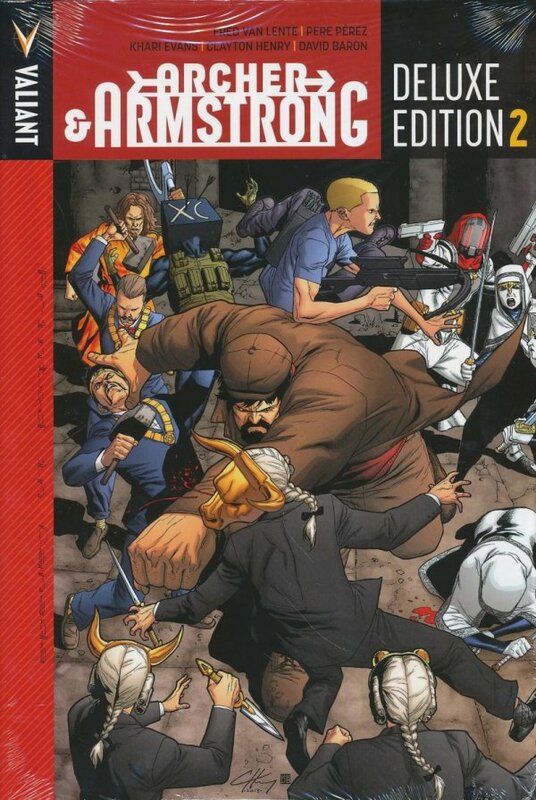 New York Times best-selling writer Fred Van Lente (IVAR, TIMEWALKER) and all-star artists Pere Pérez (UNITY), Khari Evans (HARBINGER) and Clayton Henry (HARBINGER WARS) join a jam-packed roster of special guests for the second oversized hardcover collection of the Harvey Award-nominated series io9 calls the best damn comic. For centuries, the cloak-and-dagger coalition of conspiracies collectively known as The Sect has worked together to bring silent oppression and undercover tyranny to a world that thought it was free. But, now after centuries of profit sharing and uneasy alliances, the factions of The Sect are about to erupt into open conflict...and the only men that can end the insanity are Archer & Armstrong! Too bad they’re fighting for different sides! Why? How? And will either survive? 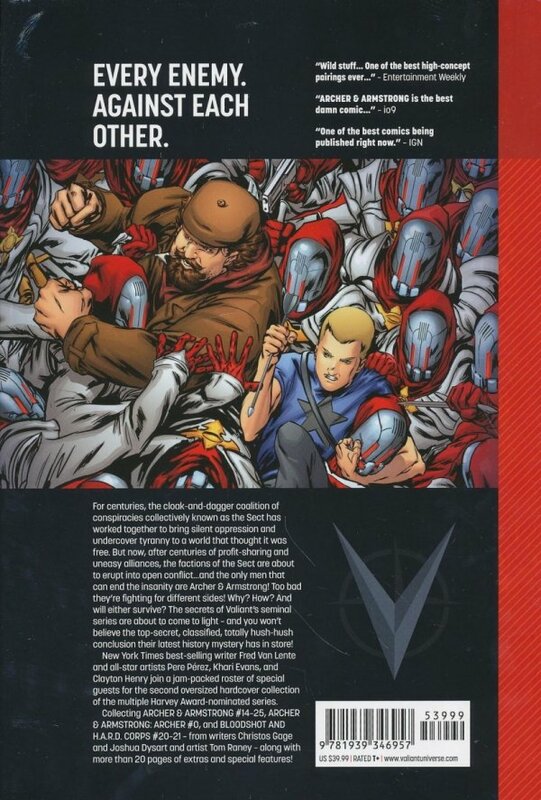 The secrets of Valiant’s seminal series are about to come to light – and you won’t believe the top-secret, classified, totally hush-hush conclusion their latest history mystery has in store! Featuring backup stories from red-hot creators Ray Fawkes (Batman: Eternal), John Layman (Chew), Karl Bollers (Watson and Holmes), Rafer Roberts (Car Pool Buddies of Doom) and more, the madcap finale of Archer & Armstrong’s conspiracy-busting series is re-presented in its entirety in a prestige-sized hardcover packed with 20+ pages of rarely seen bonus materials and special features! Collecting ARCHER & ARMSTRONG #14–25, ARCHER & ARMSTRONG: ARCHER #0 and BLOODSHOT AND H.A.R.D. CORPS #20–21.